Google is one of the largest companies in the world that has many products, for internet users in the world may be familiar with the name Google. Even using Google in everyday life. Founded on September 4, 1998, Google developed into a large company with various products. Until now, Goggle products are very much even growing. In addition, Google always fixes or updates each product, maybe many people who memorize it if Google only has a Search Engine, or a product that has a Google name such as Google Maps, Google Adsense, Google Translate. But it turns out that many Google products are very popular and widely used. Following are the best Google products that are very useful, they are seen from usability, many users, and features in it. It is definitely in the first place of Google Search, becoming the best search engine in the world. Most used by people in all countries. The function of Search Engine is to search for information, articles, content, videos, images, and various other contents. There is a wealth of information about the world, technology, internet, tutorials, games, movies, online stores, lots of it. How to use it is very easy, just typing keywords, Google will display the content in question. With the existence of Google Search, it can change the world, now it's all easier. Examples of searching for cooking tutorials can be on Google, searching for information, searching for knowledge, searching for history, everything is on Google. Google's next best product according to "Next Siooon" is Google Maps, this is one of the best applications in the World. The function of Google Maps is to show directions, roads, restaurants, places, and various other things. If in the past many people were lost because they did not know the way, with Google Maps it was easier for people to travel. It is very useful for people who want to travel to a new place. Equipped with directions and navigation that makes it easy for users to get to the destination. This application is easy to use on a Smartphone or Tablet and now features there are features for motorcycle users and pedestrians. Everyone can use Google Maps, because all its features are free. This product is related to Google Maps, because with Google Street View users can see places or roads. This application is very useful for ensuring the name of a place or place according to what you are looking for. Suppose someone is looking for an address, with Google Street View you can see that place. If first translating languages ​​needed a dictionary that had to be searched for words, now Google Translate is used to translate various languages. Even though the results are still a lot less, but this can help to translate or know the meaning of various languages ​​in the world. This google product is very helpful because in addition to being easy to access all its free features. The way is just entering the word or sentence you want to translate. This is a system operation or OS that is used on mobile smartphones, this application is very important because some Google applications can be run on Android. According to Next Siooon, the Android OS is the easiest operating system to use besides the features provided are very many. Various applications can be run with the Android OS and it's very easy to just use email. Users can already search for various applications and games in Playstore which is one of Google's products. Playstore is an application that provides various applications or games that can be downloaded and played on a Smartphone or Android Tablet. Actually this product is not purely made by Google, but Google bought YouTube in 2006. But even so, Google updated Youtube with more interesting features. Until now, Youtube has become one of the most widely used sites in the world. The Youtube site is used to save (upload) videos and watch videos. There are lots of interesting content from Youtube, ranging from learning guides, cooking, creating websites, sports information, world information, artists, songs, video clips, gamers, and various other videos that can entertain, provide information, and provide solutions because many people are share tutorials or guides. Now Youtube is widely used even by children up to the elderly. Another Google product that is not purely made by Google is Blogger, purchased in 2003. This blogger is useful for internet users who want to create a Blog. And the blog is a place to create content such as articles or posts. In other words, making a website is simple, indeed not everyone uses Blogger. But this is very useful for people who want to have a website or blog without having to buy hosting. Because Google prepares everything, users only need to make interesting and useful content. Finally, it is a browser owned by Google, known as Chrome, used for browsing such as opening sites, searching for site addresses, opening social media, opening Youtube, opening Facebook, opening Blogger, and so on. This Chrome browser is one of the best browsers because it is very light with a smooth display. In addition Chrome rarely crashes or bugs so it is very convenient to use when online using the Internet. Everyone doesn't know this, but for some people who like to save files online Google Drive can be an option. So Google Drive is a Cloud service for storing data or files online. For example we have a large file on a Laptop PC or Smartphone, but because of full capacity but the file does not want to be deleted. Then the way is to save or upload the file on Google Drive. We can still access these files online and can even retrieve them to be transferred to PC Laptops or Smartphones. And all the features are free for 15GB, if you want more you can subscribe to Google Drive. 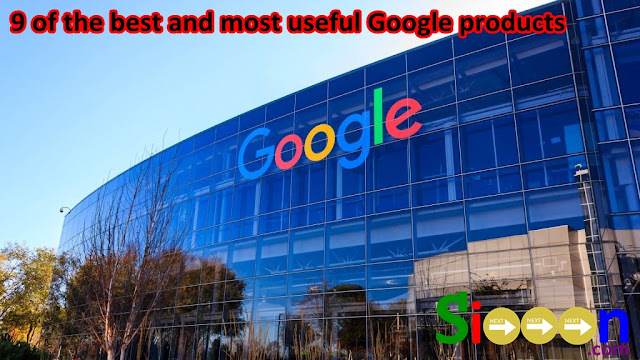 Those are some of the best Google products that have many benefits and make it easier for Internet users around the world. Actually there are many other Google products such as Google Analytics, Feedburner, Google+, Hangouts, Google Duo, and so on. Now, which of you are using Google products?